Disclaimer: The views and opinions expressed in this article are those of the author and do not reflect those of oprainfall as a whole. Anyone who has been paying any attention at all to our coverage of Tokyo Mirage Sessions #FE will probably be familiar with the controversy surrounding the game with the censorship of costumes and images within it. I’ve mostly tried to stay away from the negativity of the issue, but with my review of it coming out the same time as this piece, I feel like I should get my thoughts on it out there. So, here goes nothing. If I were to sum up my feelings on the censorship issue in a single word, that word would be “confused.” What did Nintendo of America hope to achieve here? Why did they change some things, but not others? Why did they change anything when there’s so much more that can be found on their own platforms? Any claims I make here are speculation only, based only on my own somewhat limited investigation. As far as I know, the censorship includes altered images in Illusory Shibuya (the third Idolasphere in the game), three altered costumes for Tsubasa Oribe, one altered costume for Kiria Kurono, and the swimsuit/hot spring DLC set which was not released at all in the West. Some changes were also made to in-game videos to make things overall less risqué. 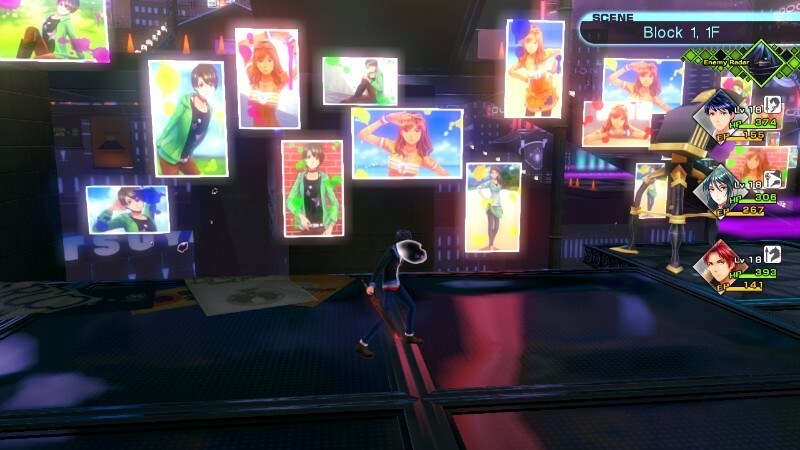 The changes to the Shibuya Idolasphere are by far the most dramatic changes made to the game, in some ways heavily altering the tone of a dungeon based around a gravure photographer possessed by a Mirage. In the Japanese release, the walls of the dungeon are adorned with photos of swimsuit-clad women, while the western release has them in more modest, less revealing outfits. At the end of the dungeon, in the Japanese version, Tsubasa strips down to a bikini to lure out the possessed photographer, while in the localized version she just changes into another outfit. Interesting to note, the bikini she wears in the dungeon is the same one she’s later seen wearing in one of her side stories during an in-game commercial and an ad-lib attack she acquires afterwards, even in the Western version. The only real difference is that she will only be wearing it during these sequences, and it’s not an equippable costume for her. It wasn’t removed, it was only delegated to a couple sequences that you won’t see as much. The biggest question is why Nintendo decided it would be appropriate to make these changes in a game rated Teen by the ESRB when there are several other games also rated T on Nintendo consoles with much more revealing outfits than anything in Tokyo Mirage Sessions #FE. Two Senran Kagura games are available on Nintendo 3DS, and, while Deep Crimson was rated M, Burst was rated T. And (to the extent of my knowledge) it was unchanged from the Japanese version. 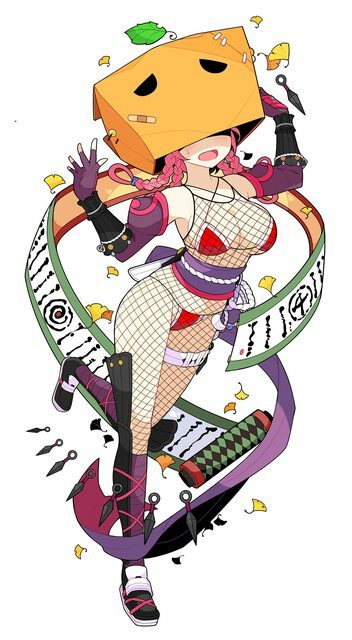 Not only that, but Stella Glow is also available on 3DS, and…well, take a look at Nonoka’s regular outfit. Keep in mind, she looks like this throughout the entire game. Keep in mind also, this is a T-rated 3DS game. You might argue that neither of these games were published by Nintendo, and you’d be absolutely correct. Senran Kagura is published in the West by Marvelous and XSEED, while Stella Glow was published by Atlus. So, let’s take a look at what Nintendo has published themselves recently, specifically Bayonetta 2 and Devil’s Third. Both are much racier than anything in either version of Tokyo Mirage Sessions #FE, and were still released unchanged on the Wii U. It’s true that both were rated M, but the fact remains that they were unchanged. Nintendo could easily have left Tokyo Mirage Sessions #FE alone, and skated by with an M rating at the very most, and probably could even have kept it at T. The changes didn’t need to be made, and especially the changes to the third dungeon don’t even make sense in the context of the game and its setting.